Welcome to the Skating Club at Dartmouth! 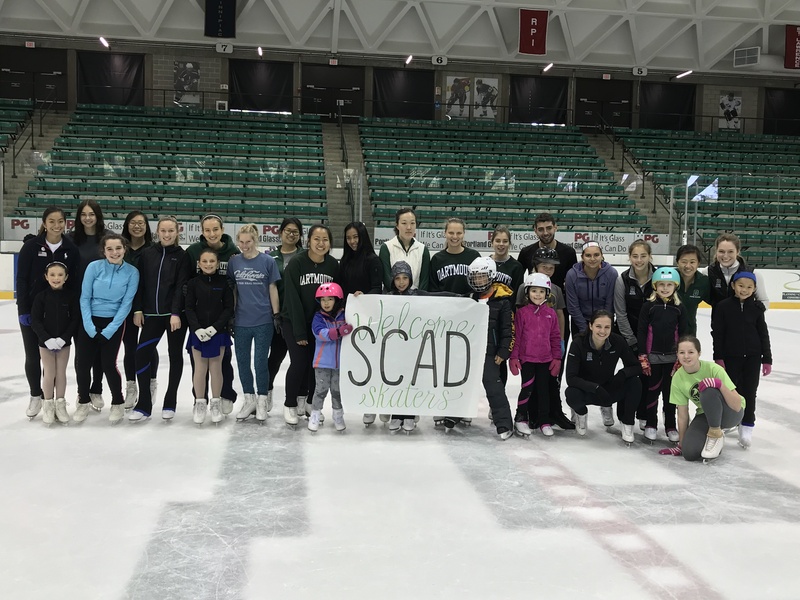 SCAD skaters and their families enjoyed an afternoon of skating at Thompson Arena. 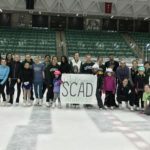 SCAD skaters get to spend an hour on the ice with the Dartmouth College Figure Skating Team! Snow Plow Sam: Designed to help the Pre-School age skater develop the preliminary coordination and strength necessary to maneuver on the ice. For ages 3-5. 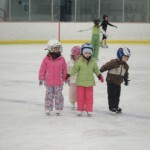 Basic Skills 1-6 and Pre-Free Skate (combination of Basic 7 and 8): The “BASIC (skating) SKILLS” are fundamental to the sport. The eight levels of the program introduce the fundamental skating moves: forward skating, backward skating, stops, edges, crossovers, three turns, mohawks. These skills are essential elements to becoming a strong figure skater or hockey player. Speed Skating: The Speed Skating Program is for skaters wanting to learn the fundamentals of Speed Skating. The Speed Skating track introduces beginning speed skating techniques to skaters who have learned the basic skating fundamentals in Basic Skills 1-4. Skaters will be ready for racing after completing the Speed 1-6 badge levels. Speed Skating is led by 2-time US Olympian Dan Weinstein. Hockey Edge Power Skating: Edge work and power skating skills coaching for hockey players in Mites through Bantam programs. 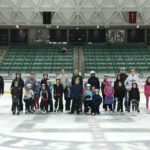 Our coach is certified in power skating and hockey skills by the Professional Skater’s Association. Freestyle: Freestyle Test Level Sessions and Open Level Freestyle Sessions are for skaters who have completed Basic Skills 1-8 (or Basic Skills 1-6 and Pre-Free Skate) AND passed either Free Skate 2 and/or Pre-Preliminary Moves in the Field (MIF) or higher and would like to pursue figure skating. Skaters who have passed Basic Skills 6 and up (skaters in Pre-Free Skate through Free Skate 2 must be enrolled in at least one group class per week) are eligible to participate in Open Level Freestyle sessions. 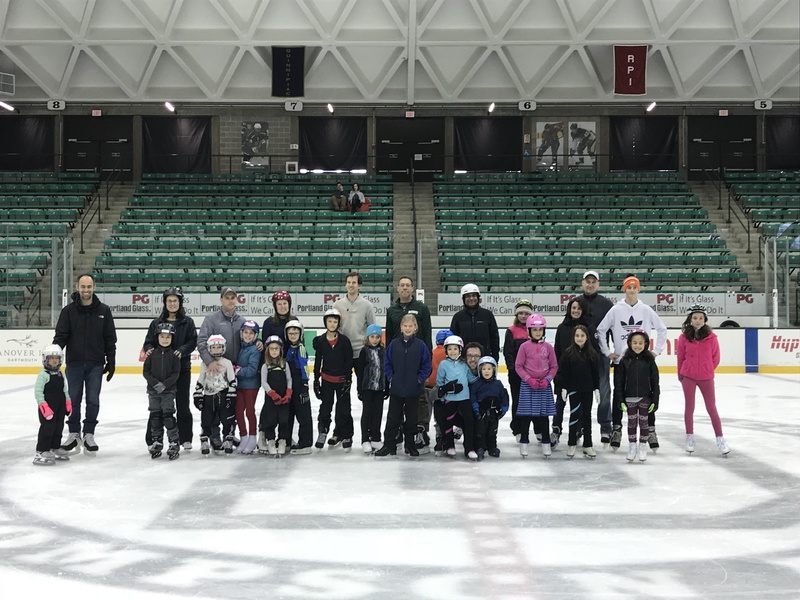 Adults: This program promotes physical fitness and improves balance and coordination while learning proper skating techniques. This program is open to beginner through advanced skaters. For more information, check out our Programs page.